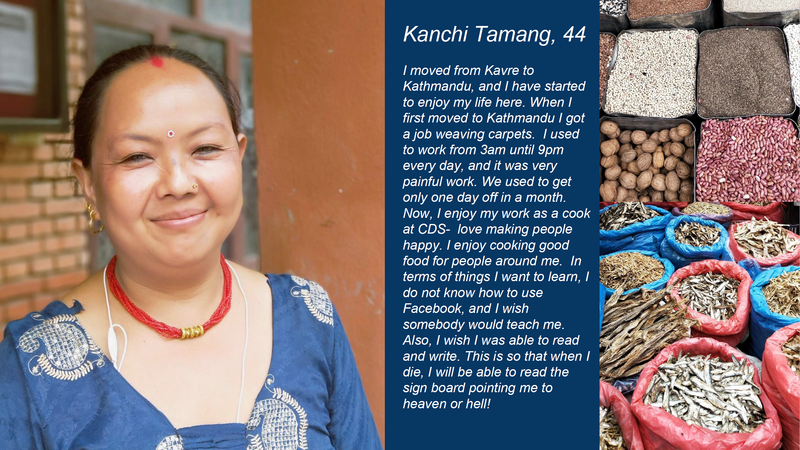 Image: Kavre resident, Kanchi Tamang, interviewed by GFF Representative Shona Warren. 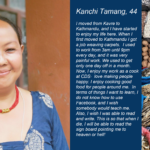 GFF Representatives, Shona Warren and Sulochana Thapa, visited two rural villages in Kavrepalanchok, or ‘Kavre’ for short, last week as part of their research for the GFF Village Development programme. They were met by the local women in their special dress and talked to them to understand their way of life in the village, what their main sources of income were, and what the primary needs were. The Kavre district is just east of Kathmandu and has a total population of 381 937. It was an area that was greatly affected by the 2015 earthquake. There are numerous concerns in the broader region. Firstly, child labour continues to be a problem across Nepal, and in the Kavre district. Young girls from rural areas are trafficked to the Kathmandu Valley, and are put to work in ‘dance restaurants’ or massage parlours, were they are sexually exploited. Secondly, each year large numbers of Nepalese people migrate abroad to try to escape poverty and find employment. This large departure each year costs Nepal nearly 20% of the Country’s GDP. Normally, the husband migrates and sends money home to pay for his children’s education. Unfortunately, migrants are in danger of exploitation, and mistreatment. The children left at home often suffer from the absence of a parent, and the loss of familial stability. In Summer, the Kavre region struggles with drought and water access. Infrastructure problems with health, education, water and electricity diminish the quality of life for locals. There is much possibility for the beautiful region, such as tourism and agriculture, however there are currently limited opportunities. These are small villages GFF has identified as initial villages for our programme. They comprise 125 and 110 households respectively. People per house: On average 5-6 people. Some households have 10-12 people living in a house, sleeping in shared spaces. Income: Yes, the people have limited income and no ability to save. Those employed are primarily in construction and agriculture, or are working overseas in Kuwait or Qatar and send back money for the family. Half of the wage is paid to the land owners, and the remaining amount is used for food, clothing and schooling. They are struggling to satisfy their basic daily needs, especially in terms of water and electricity. Shelter: Homes are made from clay and brick with corrugated iron roofs. The structures are poor, with low roofs and people live together with livestock. Cooking is done on an open fire next to where animals were kept. In the monsoon season, the women said that the homes leak. Electricity: There is grid access but it is limited and unreliable. Access to water: Most houses don’t have piped water and half of the villagers fetch water from a nearby pond. Either method is a 15 minute walk, and the pond has no water testing measures and so the quality in unknown. In the other village they accessed water from a well. Education: The local schools were 15 and 30 minutes away respectively. Both are in need of basic resources, as parents have to supply the books and writing materials for their children. There is low attendance and a high drop-out rate due to child marriage. The quality of education is poor and illiteracy is high. The parents themselves had limited education, with some receiving only 2 or zero years of primary school education. However, they were eager to further their education and some were attending nightly literacy classes offered through a local NGO we have been working with, Childhood Development Society (CDS). Sanitation and hygiene: In addition to limited running water there is a lack of education about sanitation and health. A number of unhealthy practices occur such as burning of plastic rubbish, collection of unsafe water, keeping of animals and animal waste near cooking areas. The toilets were not clean and there were no adequate hand washing facilities. Waste management: There was a lot of garbage around and no rubbish collection. They burn all the plastic waste and feed food scraps to the animals. For plastics there is ad hoc collection but it is infrequent and most households burn their plastic waste. There were no recycling facilities. Sustainable livelihoods: The local women identified soap making as a good opportunity for them to enhance their income. There is already good infrastructure in place for this and a local person who would drive the project locally. GFF will begin investigations soon for a pilot project. This would be supplemented with training on savings. Health camp: Our GFF Representative, Sulochana, accompanied CDS to one of their rural health camps to learn more about the model. Two doctors and two officers provided general check-up services and facilitated referrals. Eye check-up services are a high priority for the next camp. Sanitation and hygiene: Our Representatives have been conducting sanitation and hygiene workshops in local schools in Kathmandu. They will take these sessions into these villages to ensure residents know how to avoid illness through contamination and adopt health behaviours. Solar: Many houses could benefit from household modular solar to supplement their interrupted supply. We also want to add some solar panels to a local hall so that they can continue their training and income generation activities at night. 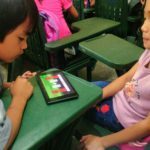 Education: GFF will provide some vital supplies to the local schools and will be meeting with them in the new term about the introduction of digital learning aids which will give access to online resources. 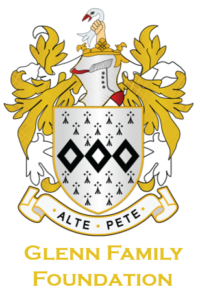 Waste management: GFF will facilitate discussions with the local mayor about the current waste situation and run awareness sessions with the community. It is important for sustainability that the local community and leaders take ownership of their waste issues. Home repairs and water purification: This forms part of our village development work and will form a phase two of this work.